SpotterRF Radar News: The U.S. military is very careful how it speaks in public about specific technology used in the field. So, it’s very pleasing to see the Department of Defense’s public announcement involving our client SpotterRF along with today’s DoD approved SpotterRF announcement. Utah PR firm, PilmerPR, and our Utah client, SpotterRF are close neighbors. 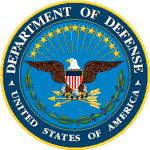 SpotterRF was one of 15 industry partners selected to participate in a Department of Defense demonstration seeking cutting edge technologies with high potential of improving the warfighter’s mission effectiveness and survivability. The Stiletto Maritime Demonstration Program conducted its first capability demonstration, Jan. 14-27, 2013 for the Navy Expeditionary Combat Command (NECC) off the coast of Virginia Beach, VA. 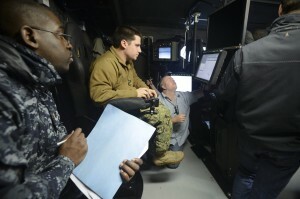 This capability demonstration allowed SpotterRF to receive immediate feedback on the radar system as NECC Sailors observed the new technology in a realistic military maritime environment. During the course of the demonstration several scenarios were run in which vessels ranging from a jet ski to an 11 meter RHIB traveled different paths into and around the Harbor. 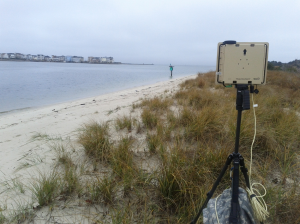 The Spotter M600C was set up remotely on a tripod at the mouth of the Harbor and communicated back to the Stiletto vessel one mile away via Silvias Radio. There, participants could view detections in real time on a map displaying the location, distance and speed of the target. 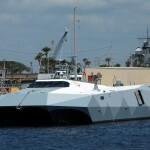 When I first saw a picture of the high speed Stiletto vessel I was reminded of a boat seen in a James Bond movie. The true story of the Stiletto program SpotterRF was tested in is way more real and cooler. I did a little research on the name Stiletto, which is known most widely as a type of easily concealed knife–an appropriate name for a really fast stealthy boat in the US Navy. Since my dad was a career Navy pilot, I’m keen on Navy history. The original Stiletto ship was the first U.S military vessel capable of launching torpedoes. Cool, huh!? If my dad were still around, I think he would approve of naming this new vessel after its older brother that bristled with the technology of the day. Go Navy!